Ten Things Extraordinary Leaders Do & Fifteen Things You Should Never Do! More and more business owners find and enjoy sustainable success by focusing on both great relationships and results. 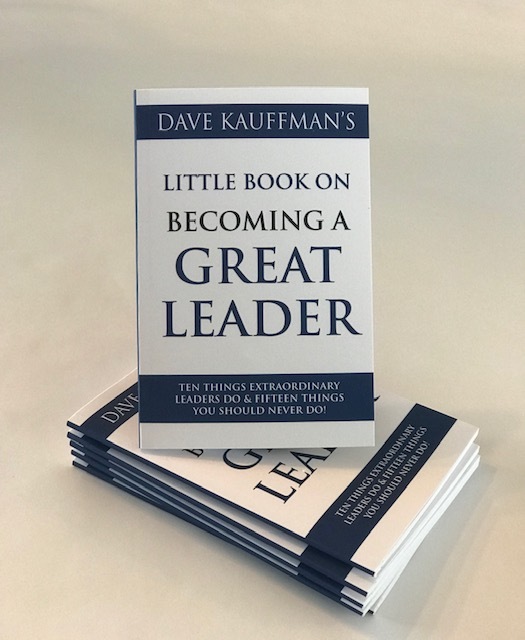 Now, in the Little Book on Becoming a Great Leader, Dave Kauffman shares the winning strategy and how it is broken down into how and why. For those who are ready to embrace their role as a leader at work, in the community or at home, Kauffman gives a simple yet powerful blueprint with fifteen things NOT to do and ten things every great leader does.